Hi to you too... Can't wait to see more of you.. Yummy.. 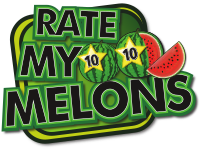 Welcome to Rate My Melons, Erin! ! I love your first pic and am looking forward to many more. What a gorgeous body you have. Looking forward to many many more. One picture and you have me entranced. great body and beautiful bosoms, Erin. hope you'll have more as well 10! Well hello there, nice of you to share. welcome to rmm. hope you share more with us. very nice.